For surfers, wetsuits are the second most purchased piece of gear following their boards. But what happens when a wetsuit gets too old, too damaged or too small? Wetsuits are made from neoprene, which is derived from petroleum, and thus neoprene is not recyclable. If you take a look inside the garage or closet of a surfer, you’ll likely find a collection of old wetsuits that have no further use and nowhere to go. 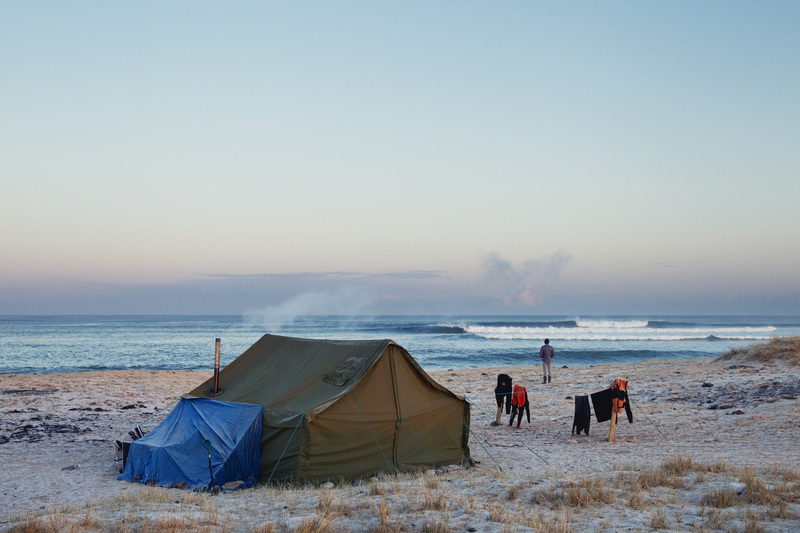 Enter Tom Kay and his British coldwater surf company Finisterre. The brand has been dedicated to coldwater surfing for 15 years and recently became a B Corporation based on their commitment to sustainability. Finisterre’s latest project targets the central issue of the wetsuit industry: finding a way to make neoprene recyclable. In November 2017, Finisterre hired a full-time wetsuit recycler to work with Exeter University’s Materials Reengineering program. Jenny Banks is most likely the world’s only officially titled Wetsuit Recycler, and has a Masters in Material Futures from Central Saint Martins in London. Kay calls her a “perfect match” for Finisterre’s goal. Banks is currently putting in long hours at the Exeter lab to understand more about neoprene since not much is known about its properties. She’s started by deconstructing Finisterre’s own wetsuits to study how the material breaks down. Advancement in wetsuit designs until now have focused mainly on improving warmth and flexibility, but sustainability hasn’t been a primary goal. While commendable efforts are being made by a few select players in the industry, such as smaller brands deriving neoprene from limestone or Patagonia’s sustainably-grown rubber suits sourced from a company called Yulex, the majority of wetsuits are still made from petroleum. But for Kay, basic efforts towards sustainability are not what he’s shooting for and he knows the unknown road ahead won’t be easy. People have told him he won’t be able to do it and many others have certainly tried and failed.